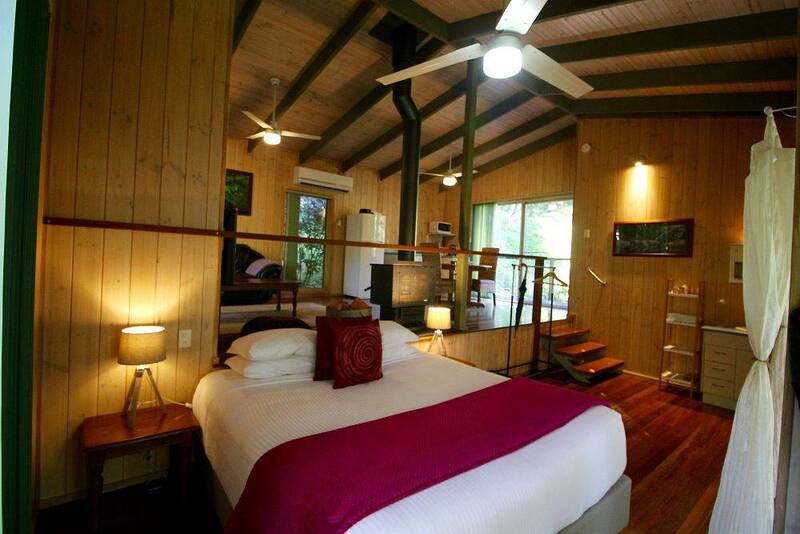 Kondalilla Eco Resort has 20 well appointed rooms, all nestled within a rainforest setting. 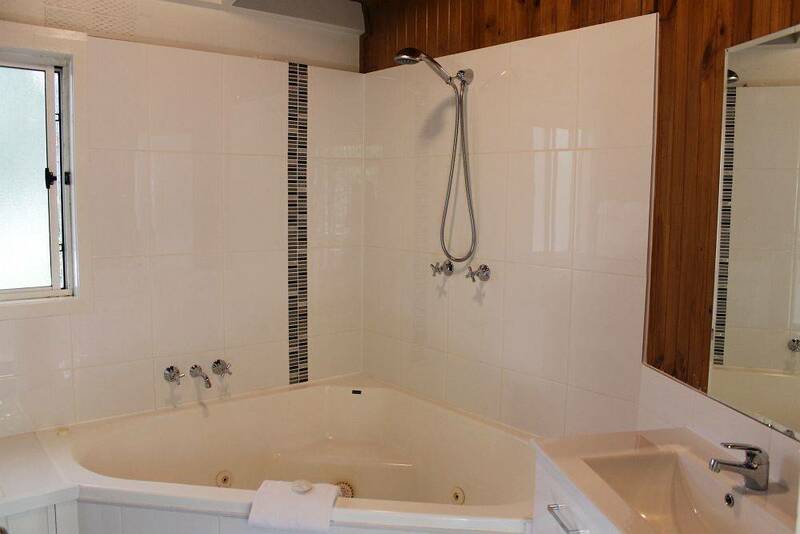 Each room has one allocated car space, fresh linen, kitchenette facilities, reverse cycle air conditioning, a wood burner for the cooler months and relaxing spa baths. 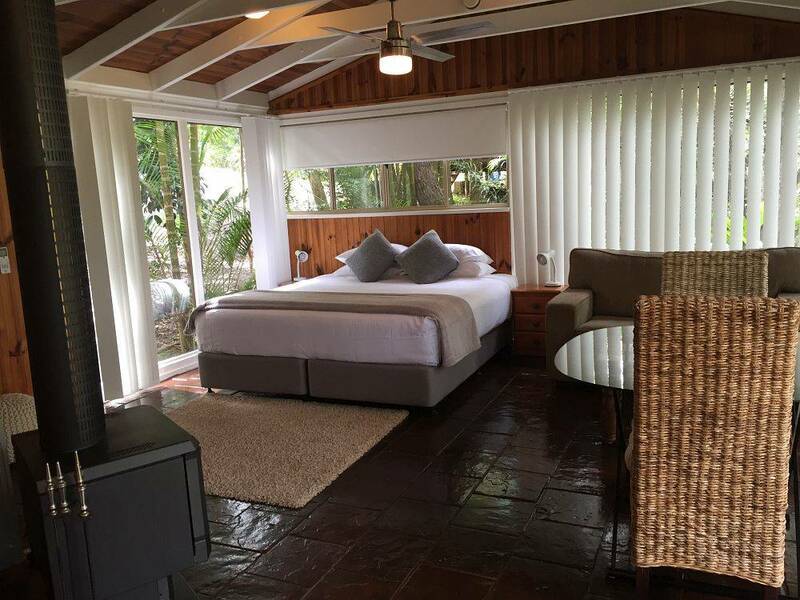 We offer romantic getaways for couples, family gatherings and can comfortably accommodate large group bookings up to a maximum of 60 persons. 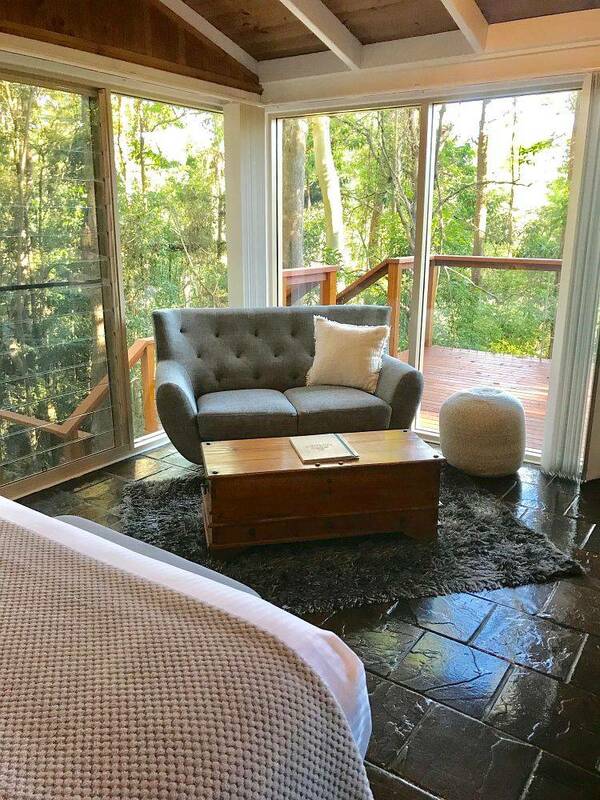 To check out our best availability and pricing, click our Book Now button. 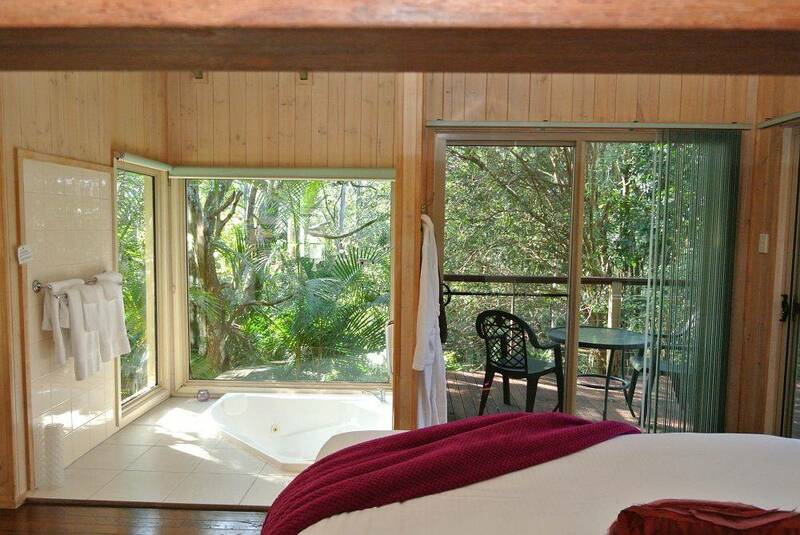 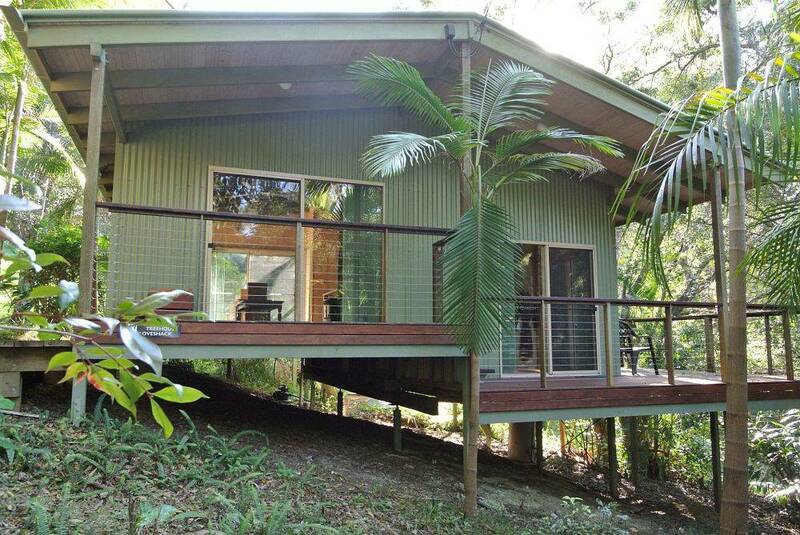 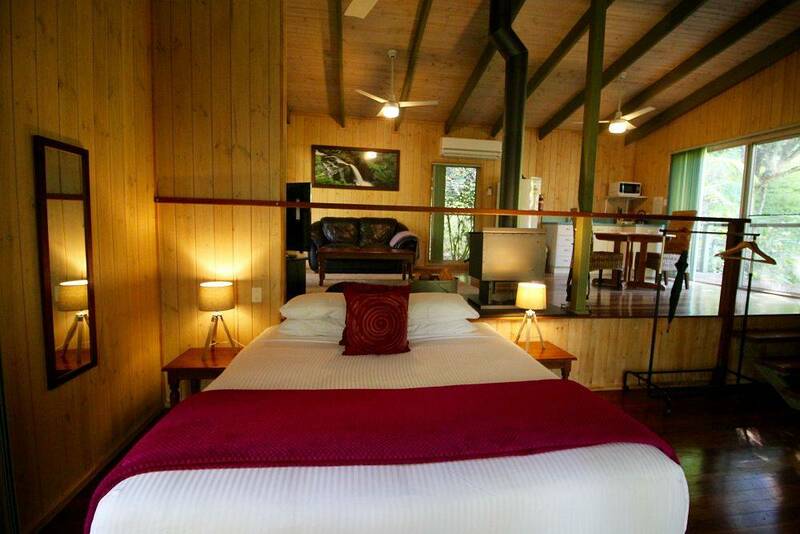 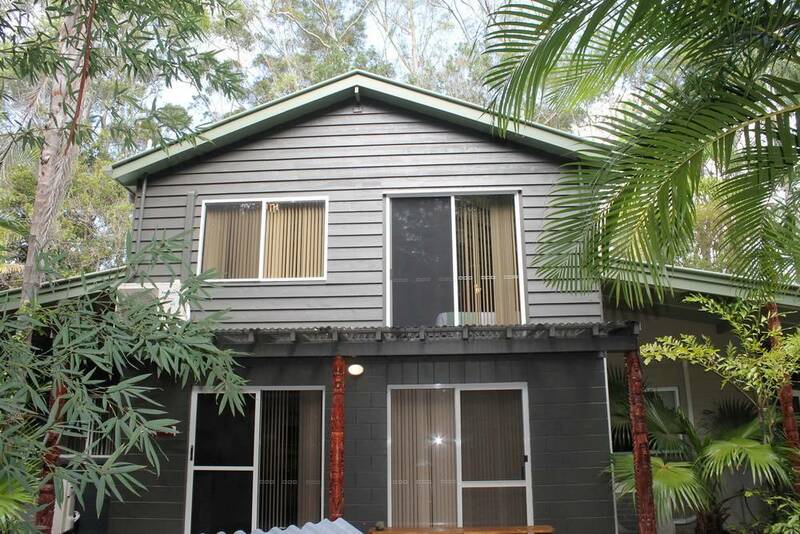 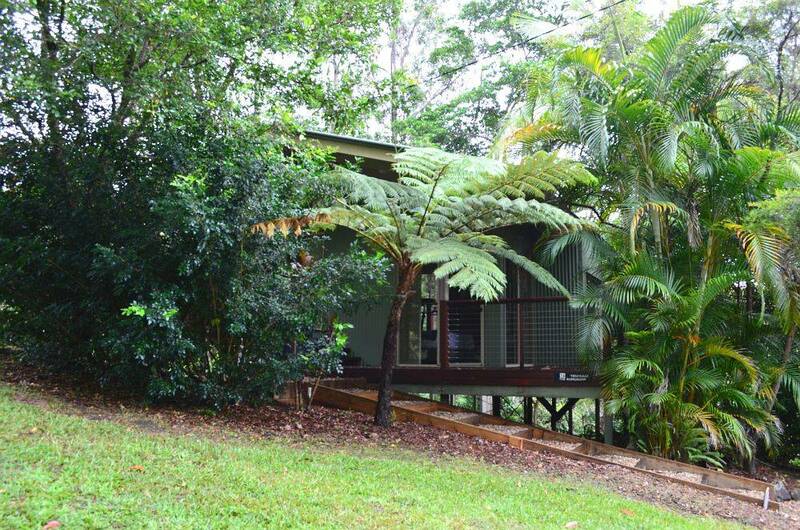 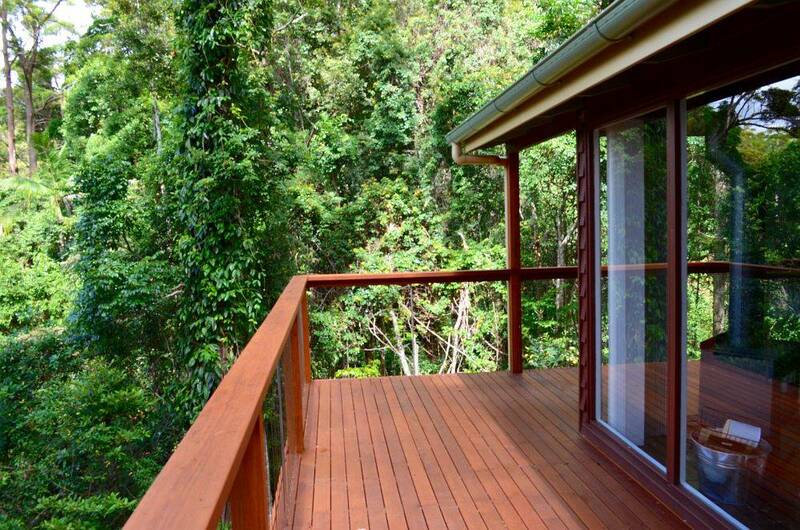 Nestled within a rainforest setting, our duplex style studio offers a rustic eco tourism feel. 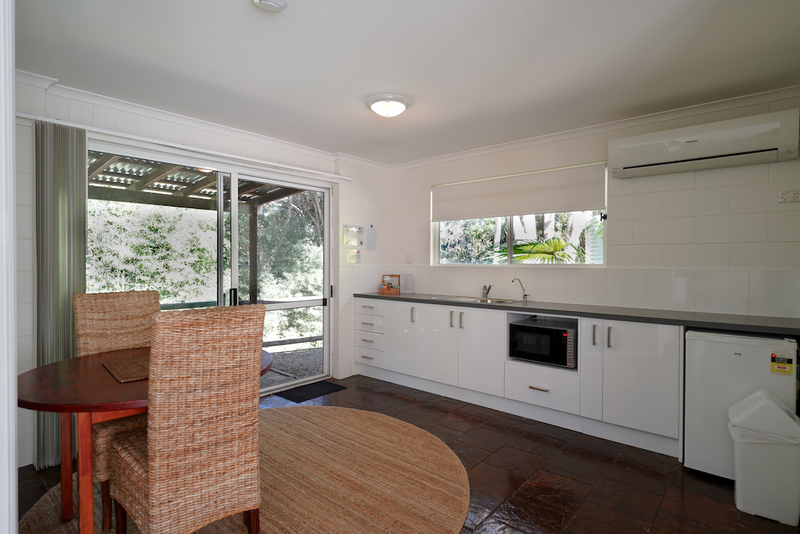 Featured, is a well equipped kitchenette, reverse cycle air conditioner, a wood burner which adds to a cosy touch in the cooler months, and a spa bath. 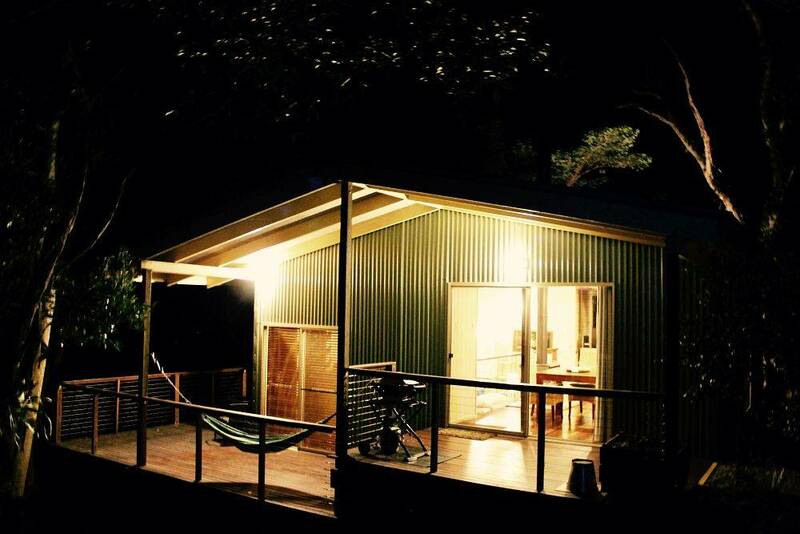 Each Studio is supplied with firewood, kindling and linen. 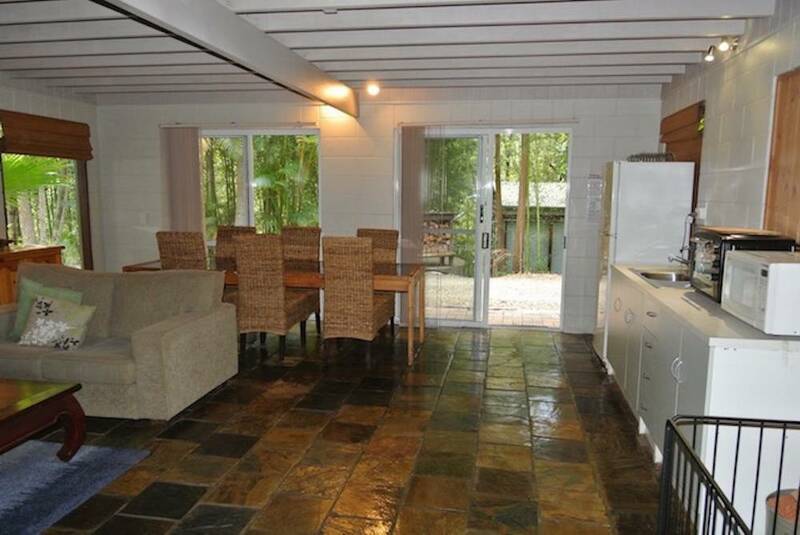 This spacious open plan two-storey Lodge is great for families or for groups of up to six people. 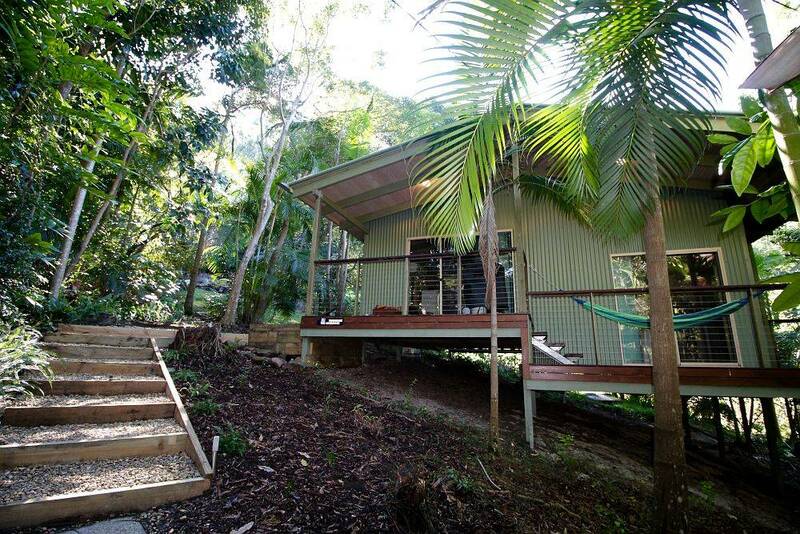 This space offers a perfect base for an active holiday or a quiet getaway. 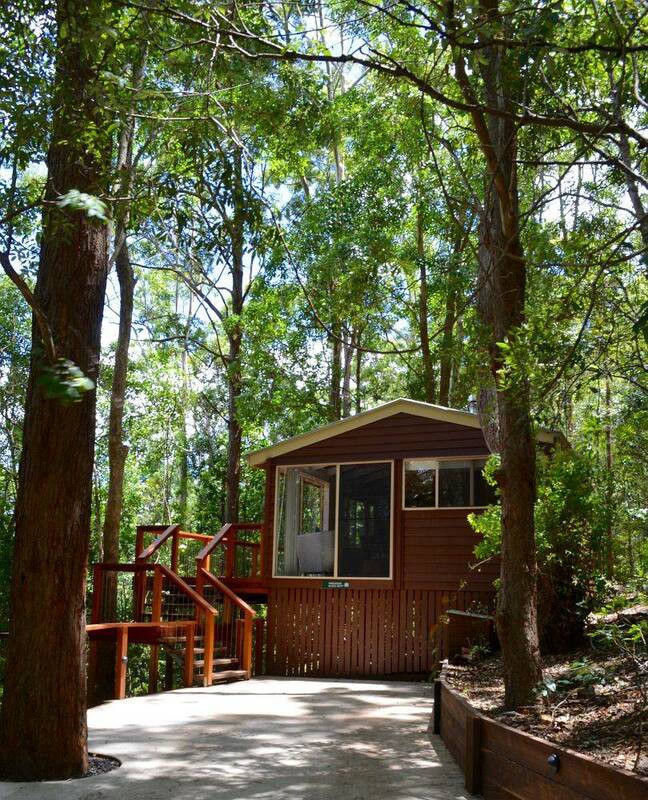 It features a wood burner, a spa bath, reverse cycle air conditioning, a fully equipped kitchenette and a private deck space where guests can relax amongst nature. 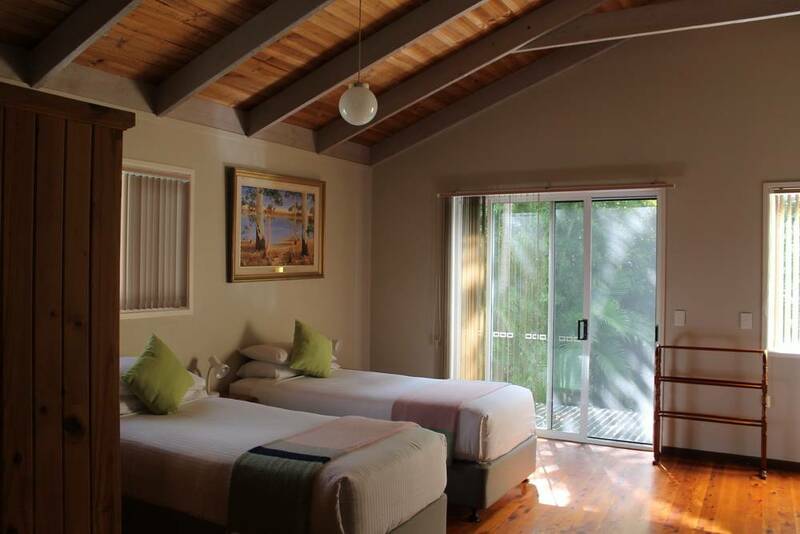 The bedding configuration is 2 king beds and 2 single beds, depending on your needs. 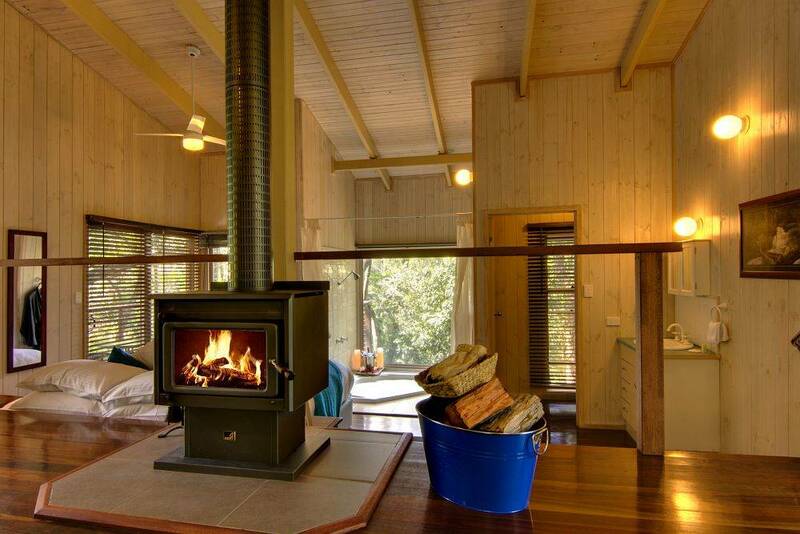 The lodge is supplied with linen, firewood and kindling. 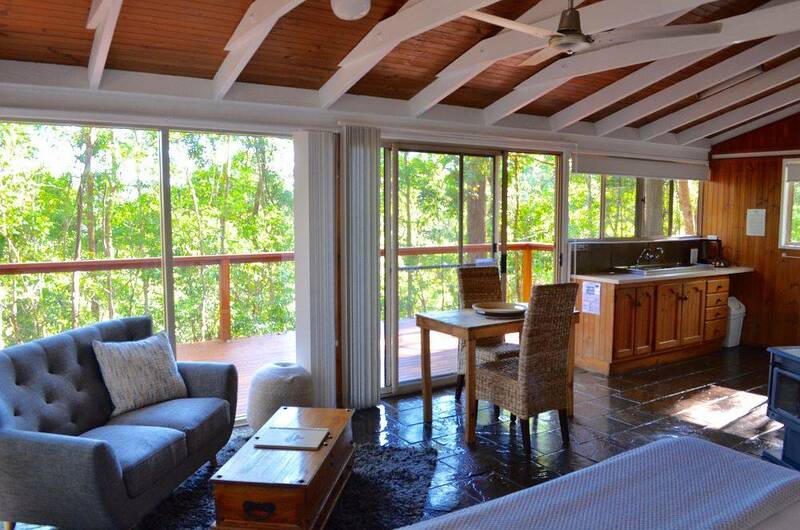 The open plan Villas are two-level and perched on a secluded hillside. 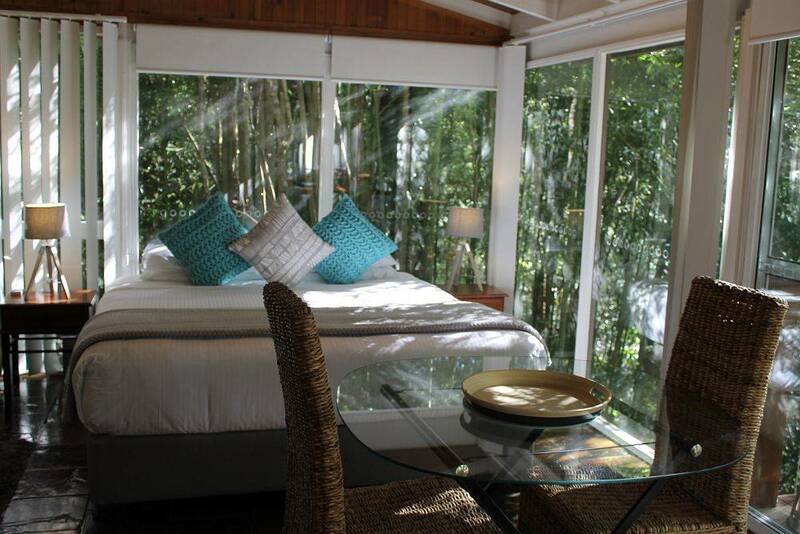 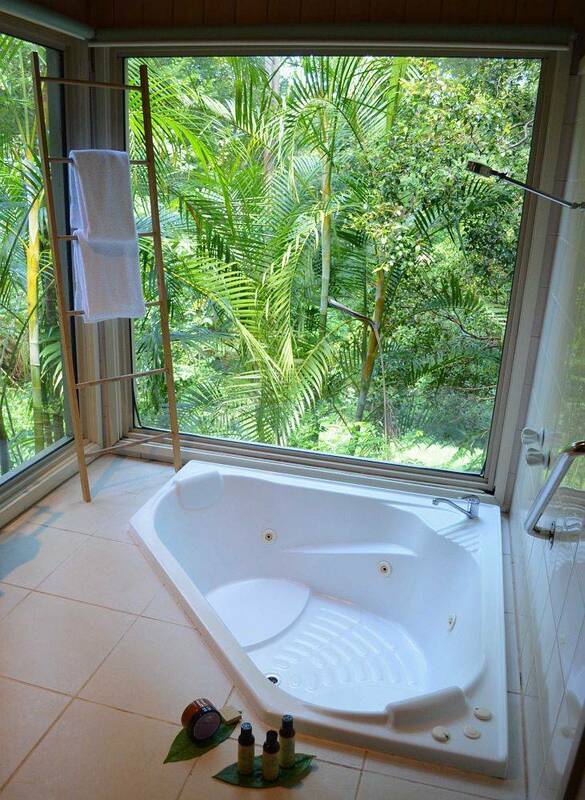 The lower level serves as the bedroom with a Platinum king bed, including a sunken spa with sweeping rainforest views. 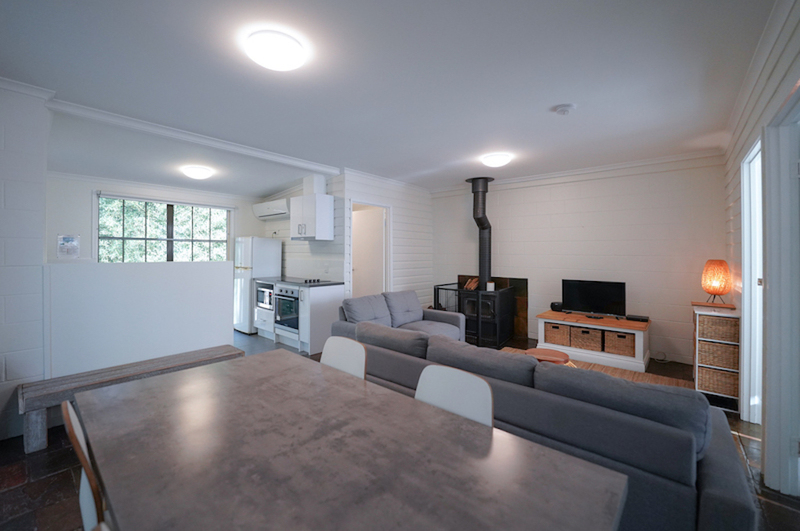 The upper floor is a spacious living area with a wood burner, reverse cycle air conditioning, Weber BBQ, hammock and kitchenette. 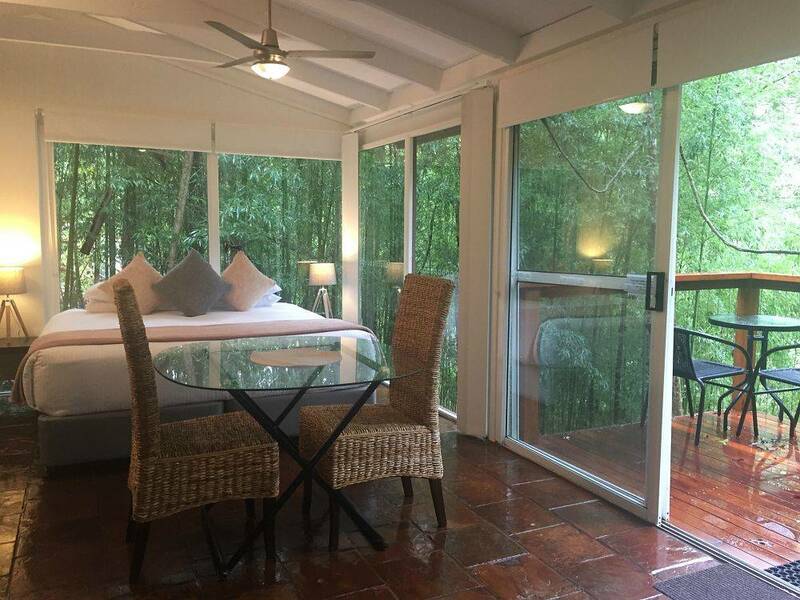 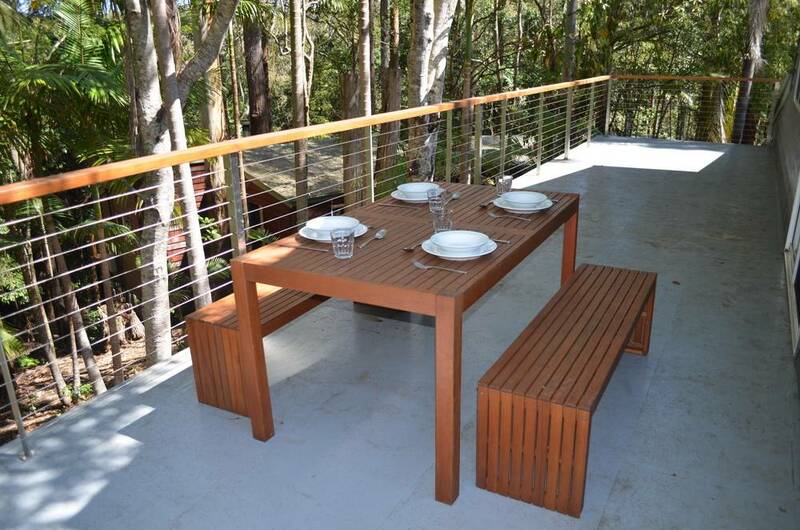 This room type, offers generous private decks where guests can relax and enjoy the tranquil sounds of nature. 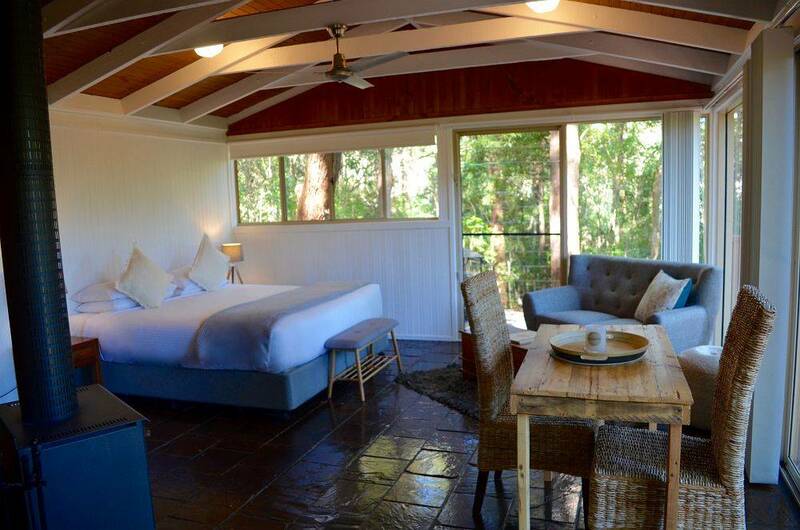 The Villas are supplied with linen, firewood and kindling. 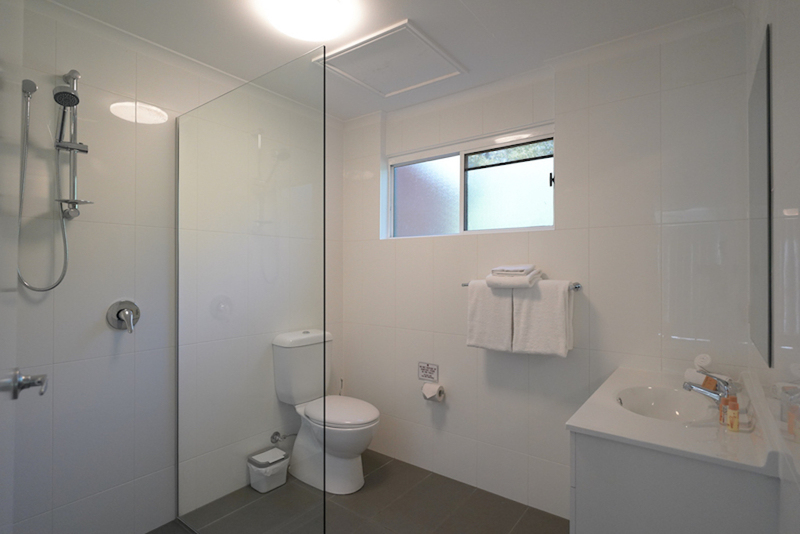 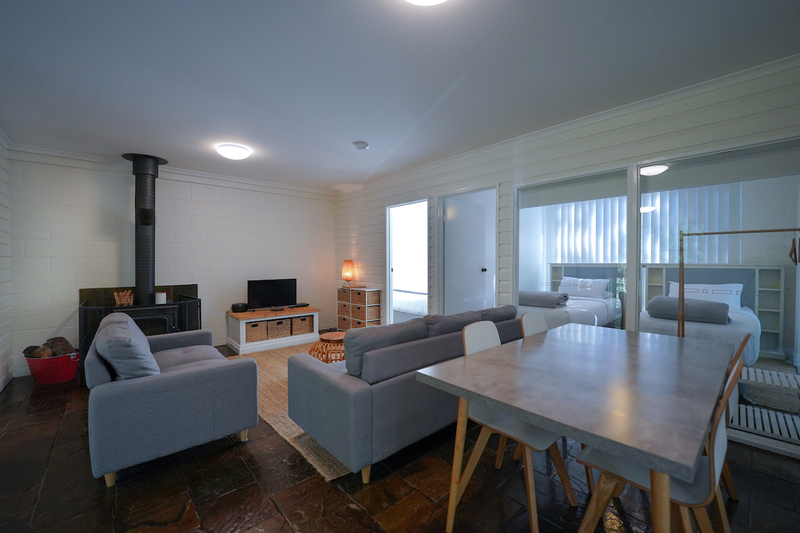 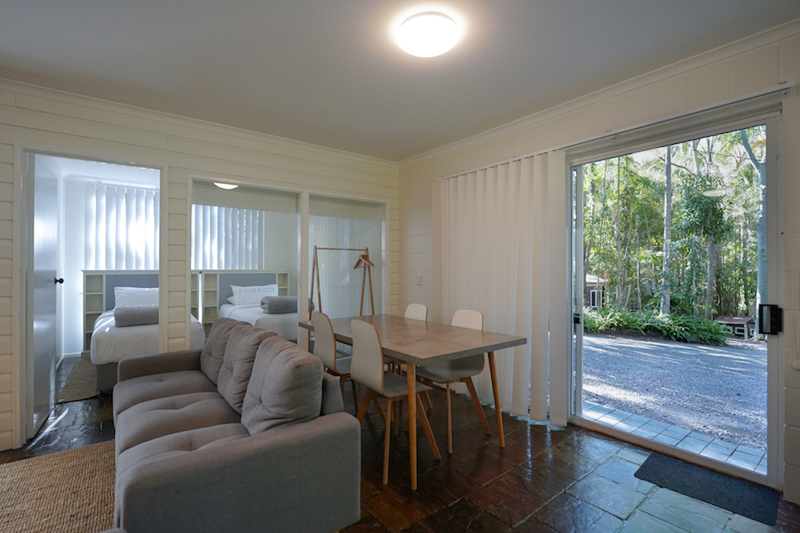 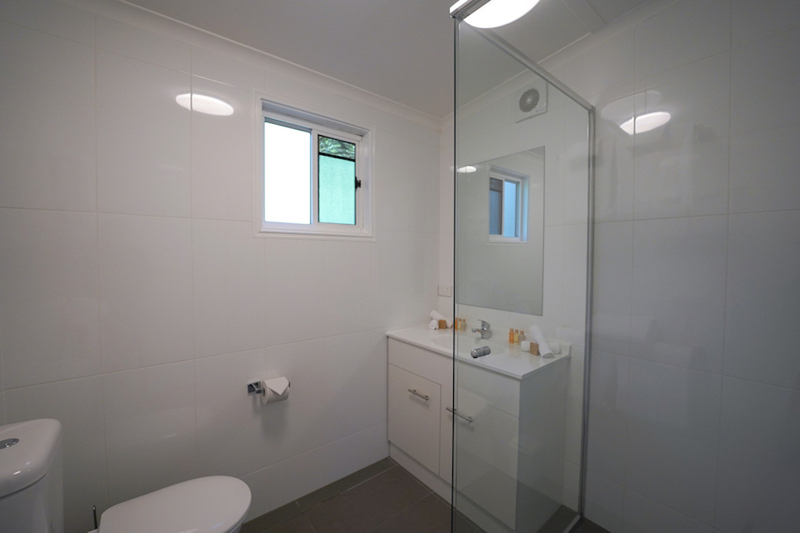 These well appointed rooms cater for families of three to four people, wishing to relax and reconnect with their loved ones. 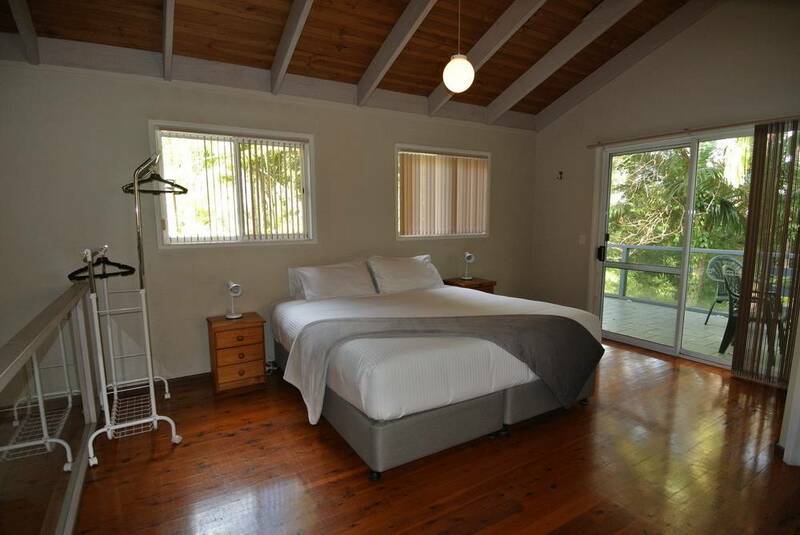 There is a queen bed in the bedroom and two single beds in the living area. 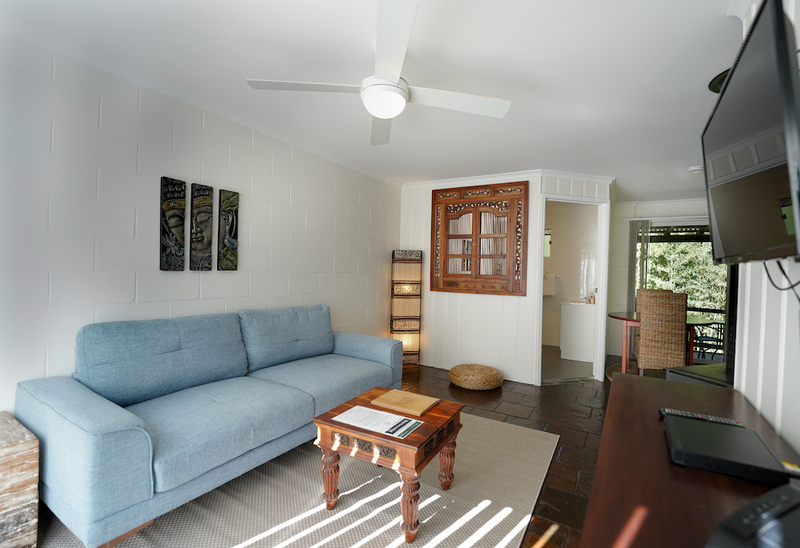 Featured is a reverse cycle air conditioner, a wood burner, kitchenette, a convection microwave oven, electric frypan, toaster and kettle, and a dining area. 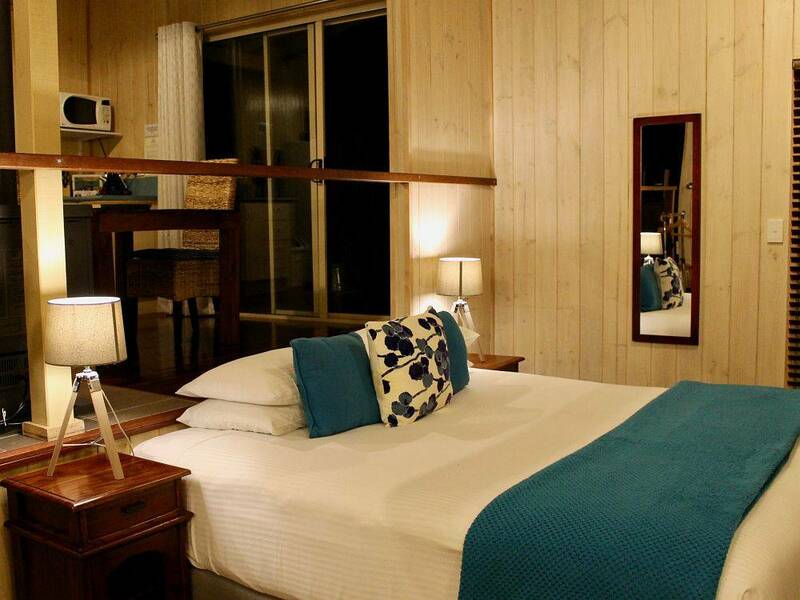 Each room is supplied with firewood, kindling and linen. 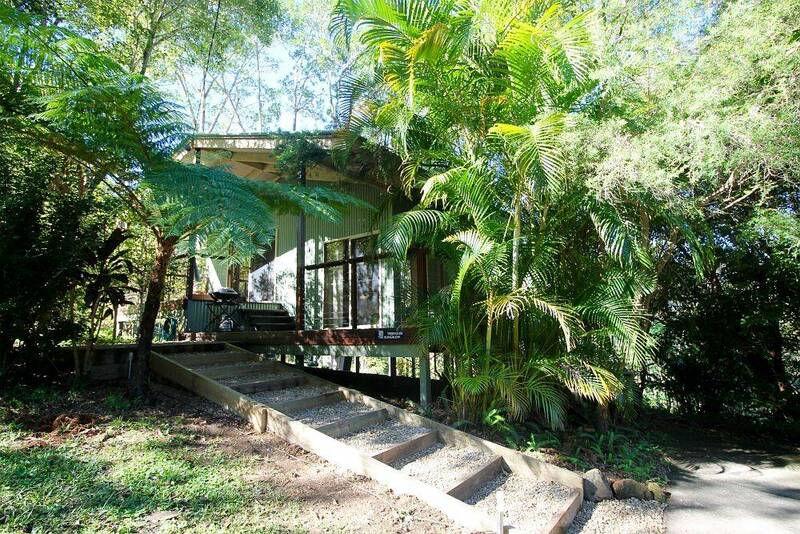 These beautifully rustic, pole-style Treehouses sleep two guests making them perfect for a couples hideaway. 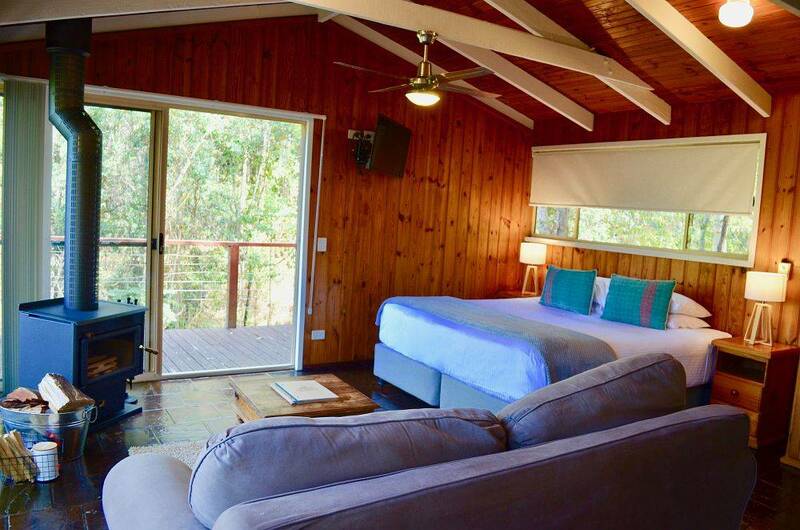 They come equipped with a king size bed, a kitchenette, a spa bath, reverse cycle air conditioning, a wood burner and a outdoor deck for guests to enjoy the beautiful picturesque surrounds. 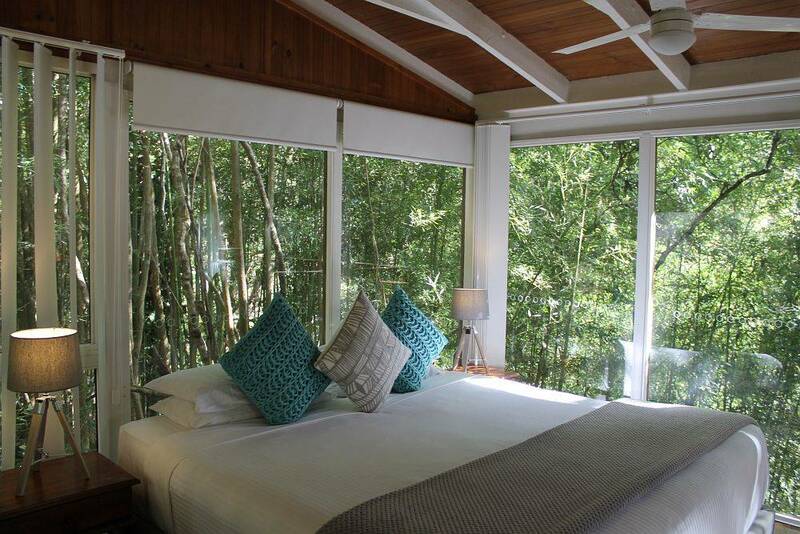 Each Treehouse is supplied with firewood, kindling and linen. 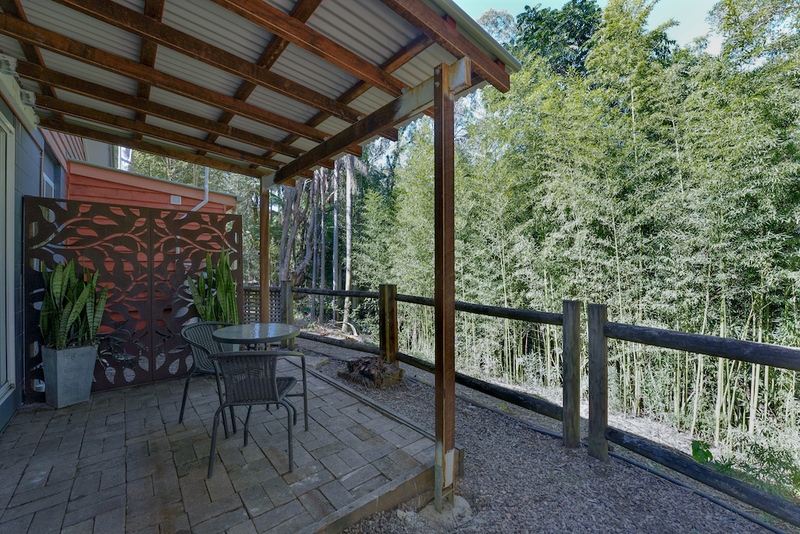 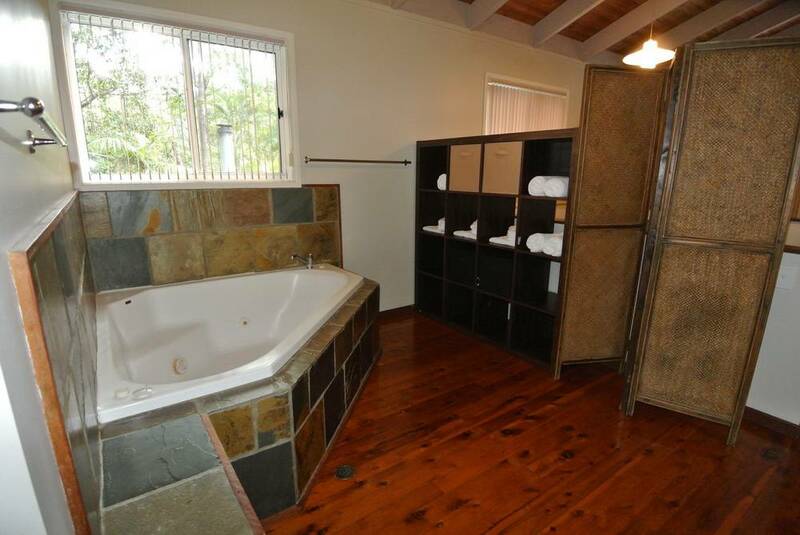 These large rustic one bedroom Log Cabins are beautifully situated amongst the Hinterland rainforest. 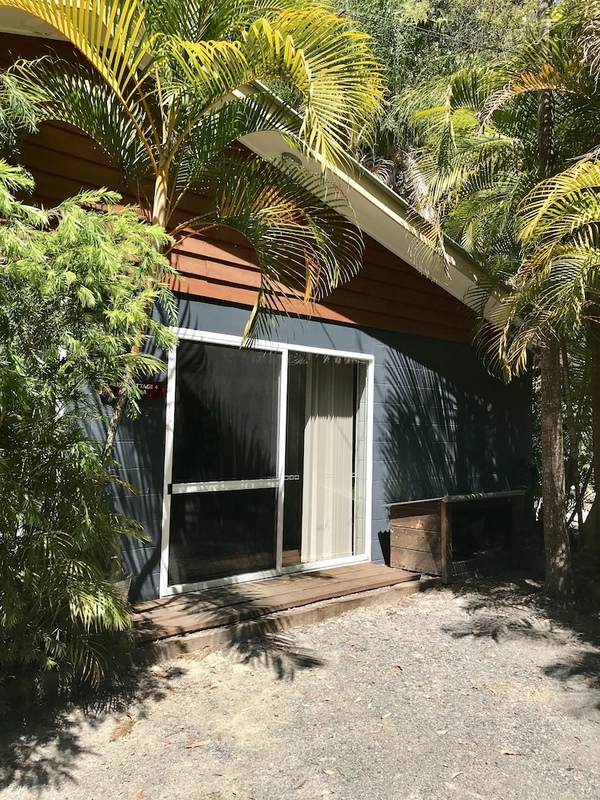 Feature is an ensuite with a sunken spa bath, a wood burner, a king bed in the bedroom with an additional queen bed in the living room, a weber BBQ compliments the private decks. 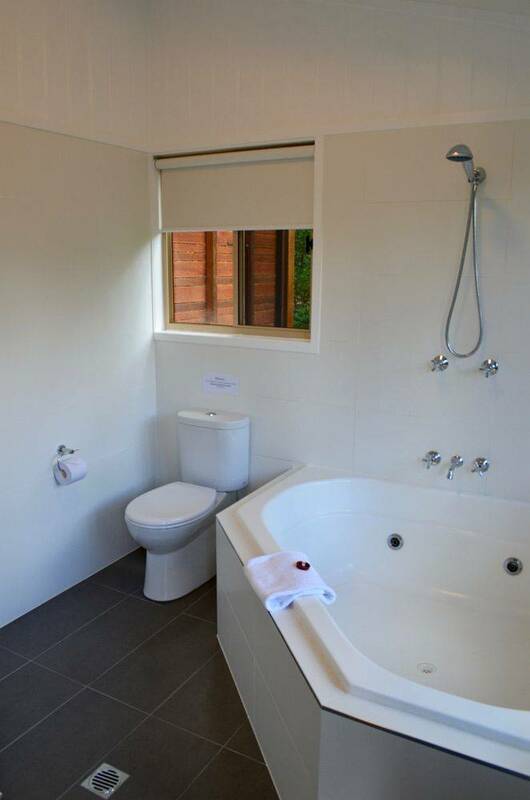 All Log Cabins come with a fully equipped kitchenette, reverse cycle air conditioning, linen, firewood and kindling.